The mission of Turn Your Life Around Counseling and Recovery Center is to cease and prevent inhibiting lifestyles such as: homelessness, poverty, addiction, and mental illness by providing education and support while encouraging community participation. Succeed over DUI arrests and experiences with value-added and informative services from our team. Change negative behavioral patterns with firm and detailed counseling from our organization. We give you the tools you need to rebuild healthy relationships. Learn about the holistic effects of drug and alcohol use and how you can successfully live a life free of addiction. You have what it takes to win. 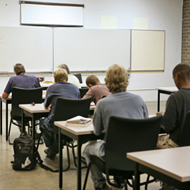 These classes are designed for 1st and 2nd offenders as a way to avoid criminal conviction. All Arizona Courts and most other states accept our programs as compliance. Compliance for Out of State DUI's , Specialty Evaluations and more! Headquartered in Tucson, Arizona, Turn Your Life Around Counseling and Recovery Center (TYLA) is a full-service nonprofit support center with a focus on disadvantaged populations including individuals suffering from: homelessness, poverty, drug and alcohol addiction, incarceration, and abusive relationships. TYLA offers a wide range of services including: DUI (alcohol) services, clothing giveaways, shelter placement, MVD revocation packages, screenings and evaluations, individual counseling and mentoring, employment assistance, and educational workshops. We also provide DUI education and treatment , domestic violence counseling, and anger management classes. Let us know how we can help you!